Lunch during the trek because fresh and hot lunch is available enroute in many points. Any expenses which is not mentioned in inclusion . 12:00pm Explore Kasol, known as the 'Little Amsterdam'.Explore Israeli cafes and shops to buy souvenirs from. 5:00pm-Start walking back to the campsite. 7:00pm Reach campsite and freshen up. 8:00pm Onwards enjoy dancing along with a bonfire.Dinner at the campsite. 7:00 - 8:00am Have breakfast at the campsite and freshen up then Head to Barshaini by car. 8:30am Start trek to Kheerganga from Barshaini with local guide Walk through rivers, waterfalls, narrow walkwaysand apple orchards. 1:00pm Have lunch on the way at the first cafe comes after 7km or at the Rudra Naag cafe which comes after another 3-5km Take a refreshing dip at the mystical hot springs of Kheerganga. 6:00pm Arrive at campsite and rest. 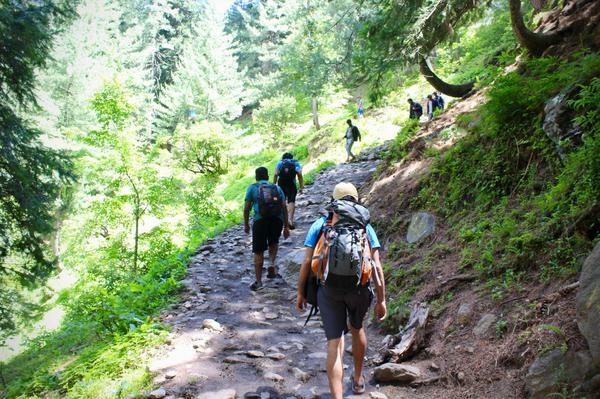 Start trek down to kheerganga to barshaini.Reach kasol from barshaini by car. End of tour at kasol. 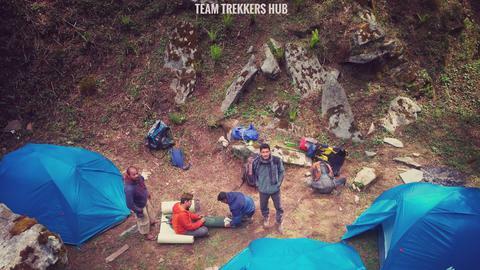 We are the locals of the region, having natural expertise and certification in mountaineering. Give us a chance to show you the beauty of our valley! The money you spend goes to the local economy.